RMJM’s strong background in delivering award-winning healthcare developments is unsurpassed. Projects in Europe, North America and Asia have consistently underpinned RMJM’s reputation as the go-to firm for premium healthcare projects which push the boundaries of what people have come to expect from a ‘typical’ medical facility. Innovative healthcare architecture remains a priority for the firm (as evidenced by the sheer number of projects delivered since the turn of the century) and has been strengthened even further in the last 12 months through RMJM’s strategic partnership with CasaSolo, healthcare design specialists based in Barcelona. 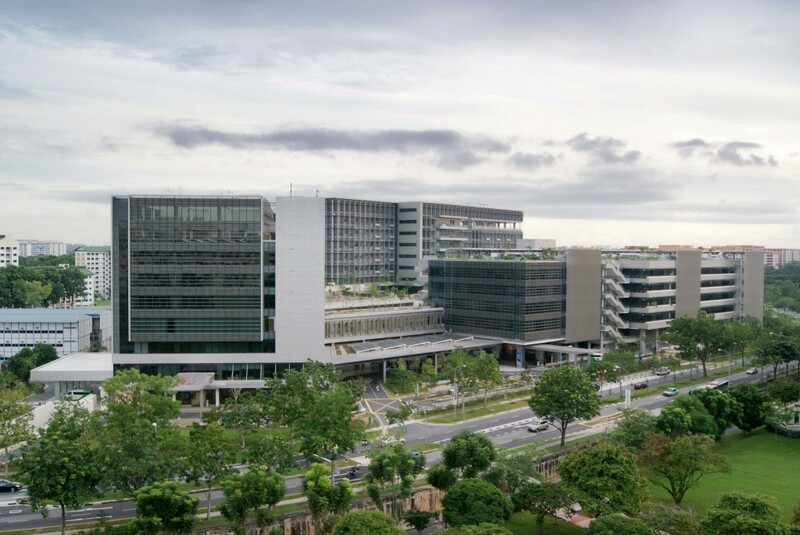 RMJM’s award-winning Khoo Teck Puat Hospital in Singapore. 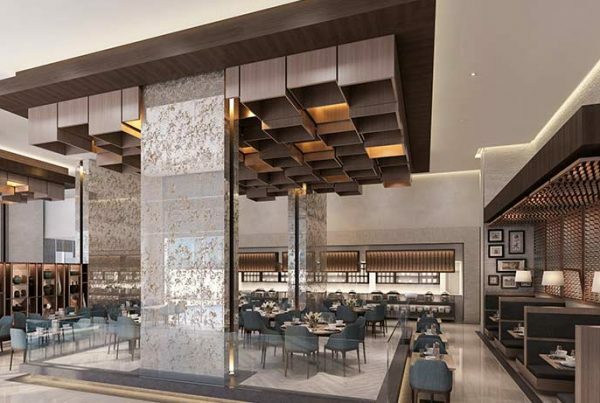 RMJM has won countless project in Singapore and they have each added something tangible to its fabric. 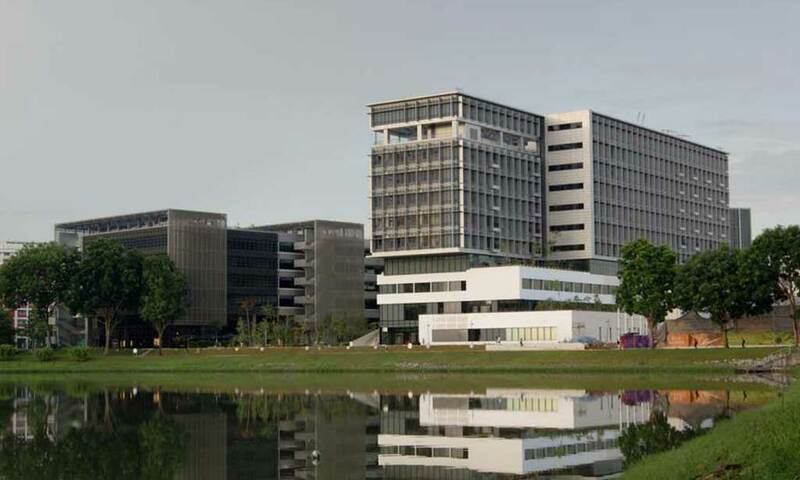 The Khoo Teck Puat Hospital, winner of several awards including the 2011 SIA Architectural Design Award for Best Healthcare Building, 2011 Building of the Year and 2011 Design of the Year, stands out as one of RMJM’s most significant projects. Sustainability was a key focus for the hospital and thanks to some pioneering design the 590-bed hospital runs on much lower energy costs than normal. Further, it achieved the highest rating in Singapore’s Green Mark program. RMJM’s Chris Johnston commented: “One of the chief requirements was that the hospital was sustainable. 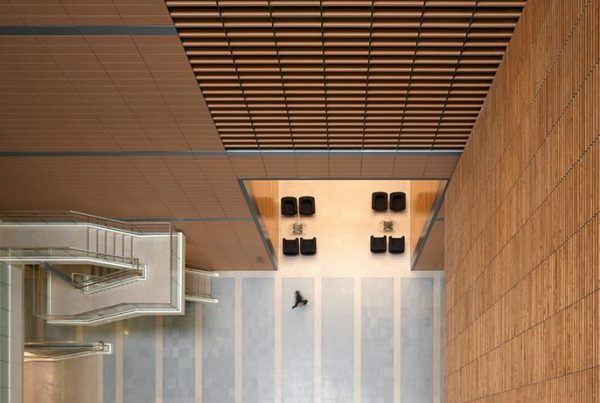 It was a great opportunity to trial some new technologies, as well as to incorporate some existing technologies.” The facility employs several innovative energy-efficient features, including a unique structural layout designed to provide up to 70% of the floor area with natural ventilation while reducing energy costs by as much as 50%. RMJM was appointed to deliver the critical care until, including the accident and emergency department, by John Radcliffe Hospital in Oxford. The scheme, the largest of it’s kind in the UK at the time, including a dedicated paediatric A&E and an extended paediatric ITU. Extensions to the existing building, including new major and minor entrances, were included. Careful planning and design provide a high quality, naturally lit environment within a constrained NHS budget. The A&E redevelopment was planned for phased implementation to maintain operational continuity of the existing service. The new unit provides a generous reception area, major and minor treatment areas, and a thirty-bed assessment ward. The Unit has its own identity and front door entrance and provides a therapeutic, non-threatening environment with the paediatric areas specifically designed to cater for children’s needs. Upon completion, the project won the NHS Best Designed Hospital award. 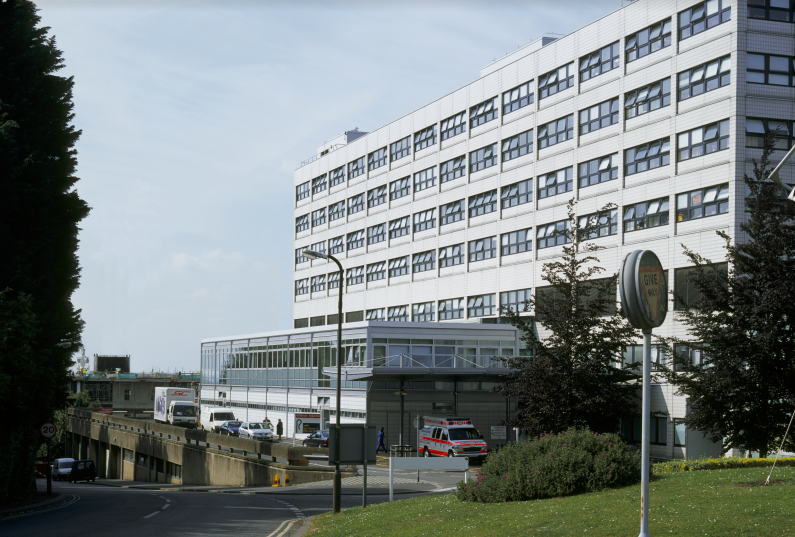 RMJM’s A&E department at John Radcliffe Hospital. Evidence-based design was at the heart of RMJM’s innovative healthcare design for the University Medical Centre at Princeton. Every aspect of the hospital’s design was geared toward creating a healing and welcoming atmosphere for patients, families and hospital staff. Elements include the abundant use of natural light, spacious and flexible operating rooms, and individual patient rooms designed to reduce falls and minimize the risk of infection. The hospital also offers amenities such as dedicated ventilation and temperature control systems for the optimization of convenience and comfort. The new hospital is one of the most environmentally advanced hospitals in the nation thanks to its myriad of energy and conservation features. The building configuration is on an east-west orientation relative to the site so as to maximize the use of natural light while controlling solar heat gain. On the façade, a sunlight-regulating exterior screen significantly reduces the amount of energy required for heating and cooling. 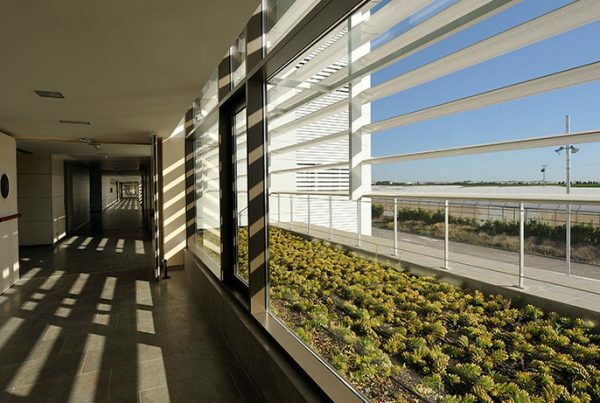 The new hospital was constructed with sustainable construction materials and interior finishes, and the site features indigenous plants as part of RMJM’s landscape design. The hospital, an affiliate of the University of Medicine and Dentistry of New Jersey, contains 238 private patient rooms, state-of-the-art emergency services, operating suites and comprehensive ambulatory services and laboratories. 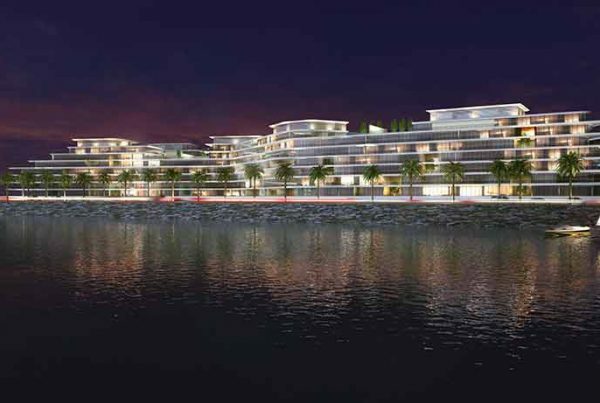 The project allows for a future expansion of 30,100 m² for 160 additional private patient rooms, expanded hospital services and physician offices. Estimated reading time: 8 min | Read about the key hospital design trends you need to keep an eye on in the coming months.